It was Ja Morant’s coming-out party. 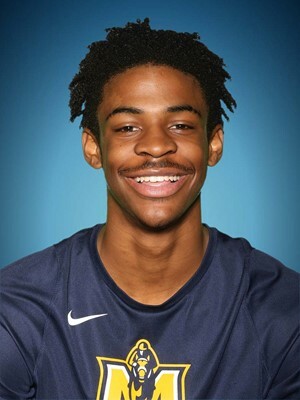 After laboring in virtual anonymity for Murray State this season, Morant raised eyebrows around the world with his scintillating performance in the NCAA Men’s Basketball Tournament on Thursday. The 6-foot-3 Morant was simply sensational in leading 12th-seed Murray State to an 83-64 victory over fifth-seed Marquette at Hartford, Conn.
Morant, a sophomore, registered a triple-double: 17 points, 16 assists and 11 rebounds. It was just the ninth triple double since the NCAA started tracking the stat in 1987. It was the first triple-double in the Tournament since Draymond Green did it for Michigan State in 2012. While Morant’s prime-time performance was one for the ages, it didn’t exactly surprise NBA scouts who have closely monitored Morant’s play throughout the season. Their opinions of Morant were crystal clear during interviews conducted earlier this week — before his stellar showing against Marquette — when two NBA player personnel directors and one veteran college scout all rated him as one of the two best players in the nation. The other one, of course, is Duke freshman sensation Zion Williamson, who has won over every basketball observer on the planet. Williamson is the overwhelming consensus to be the first player chosen in the June NBA draft. But that doesn’t mean he will. 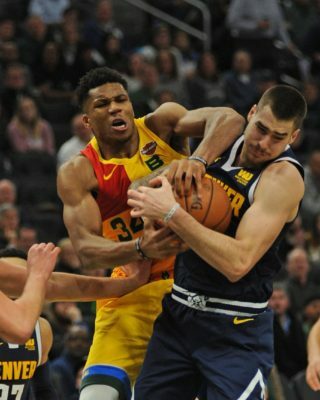 The NBA scout queried for this story, who has been doing his job for more than two decades and is highly regarded in NBA scouting circles, contends Morant is a certifiable candidate for the No. 1 selection. “Don’t get me wrong: I think Williamson is a great player and is going to have a very good NBA career,’’ the scout said. “He’s a beast, a physical marvel. But he’s got flaws in his game: his shot isn’t good, especially from the outside, and he’s going to have trouble defending on those high pick and rolls. “But, again, he’s going to be very good in our league. I just don’t think he’s going to be the savior for any team; he’s not going to carry a franchise. And neither is Morant. While both player personnel directors strongly believe Williamson is the premier player in the upcoming draft, they are also big fans of Morant and rate him as the second-best player on their respective draft boards. And they aren’t dismissing the possibility of him being the No. 1 pick. They point out how a team may be inclined to select Morant primarily to fill a distinct need. One player personnel director cited the Chicago Bulls, who have the fourth-worst record in the NBA at 21-52. 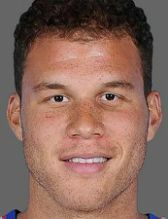 Their starting frontcourt is stacked with talented players. Lauri Markkanen is a potential superstar, and Wendell Carter Jr., whom the Bulls picked seventh overall in last summer’s draft, has a huge upside. The Bulls also have Otto Porter, an established starter who is averaging 17.5 points while shooting a scorching .488 percent from 3point range since being acquired from the Washington Wizards in February. The Bulls, in the eyes of many NBA officials, need to upgrade their point guard position. Kris Dunn has played solidly on the defensive end of the court, but doesn’t possesses the scoring and passing skills of Morant. There is, of course, more than ample time between the Draft Lottery and actual draft. But for now, at least, the aforementioned NBA officials are in total agreement that Williamson and Morant are unequivocally the two best draft prospects. They are also on the same page when it comes to the next best prospects: Duke forwards RJ Barrett and Cameron Reddish. Each of the NBA officials has Barrett and Reddish ranked third and fourth, respectively. After those four players, however, the NBA officials rankings of the top 10 draft prospects go in all sorts of directions. To wit, one player personnel director has Gonzaga forward Rui Hachimura fifth on his board, while the other player personnel director has Texas center Jaxson Hayes in that spot. The scout has Vanderbilt point guard Darius Garland at No. 5 in his draft rankings. In all, the trio of NBA officials had 16 players for the top 10 draft slots.